French Customs seizes massive 136 kilos of ivory « What Happened to the Portcullis? 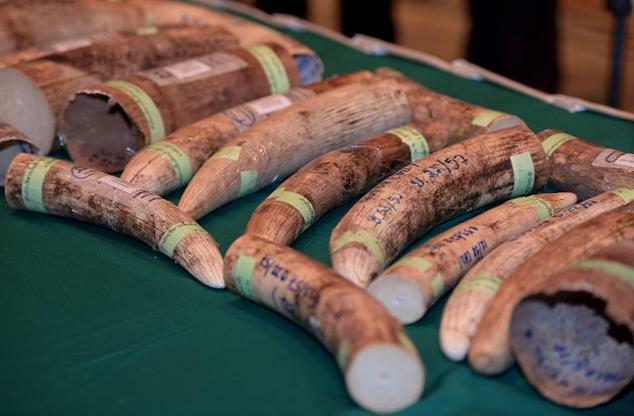 French customs officials said they had intercepted 136 kilos of ivory shipped from the Democratic Republic of Congo en route to Vietnam — the biggest haul in nearly a decade. Officials at Paris’s main Charles de Gaulle airport found a dozen elephant tusks chopped into 37 pieces hidden in cases under aluminium plates, possibly to confuse scanners. The haul is the biggest seized by French customs officials since December 2006, when 600 kilos of “white gold” was uncovered. “This is a sadly typical case,” said airport customs official Sebastien Tiran. There’s one thing that never goes out of fashion and that’s ivory,” he told AFP.